Description Help Bristlies to get into boxes of the same color. 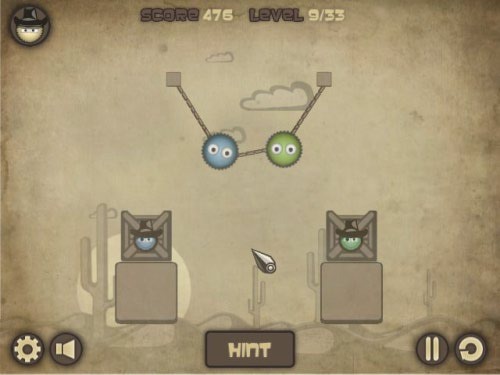 Cut ropes and use interactive objects to solve the puzzles. If you get stuck, just restart a level several times and skip level button will appear. I like sepia tone style and this game reminds me of good old Incredible Machines, well done.